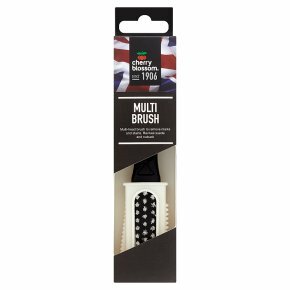 Multi-head brush to remove marks & stains and to revive the nap of suede. Rubber bristles will gently remove spots and stains from nubuck. Directions: Use the soft rubber bristles to gently remove stains from delicate suede and nubuck. The coarse nylon brush will remove marks and revive the nap on suede.